Is your favorite sister going to become an aunt? 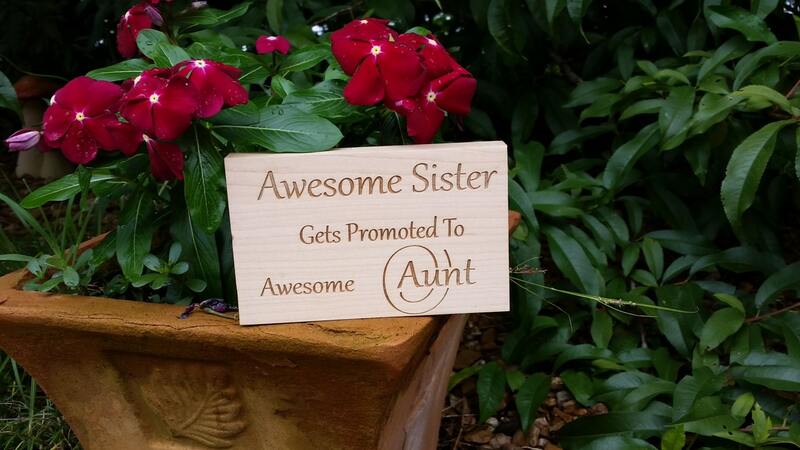 Make your pregnancy announcement unique and lasting with this beautifully engraved solid wood plaque that your sister can treasure for years to come. 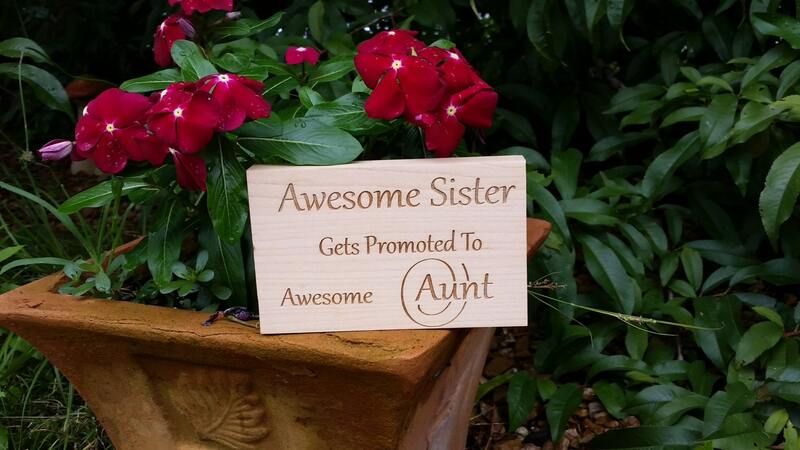 Our handcrafted & engraved wood plaque is sure to bring a smile to her face. This plaque can be made as free standing or ready for wall hanging. Please let us know at checkout how you would like it. Size: 5.5 inch long x 3.5 inch wide.